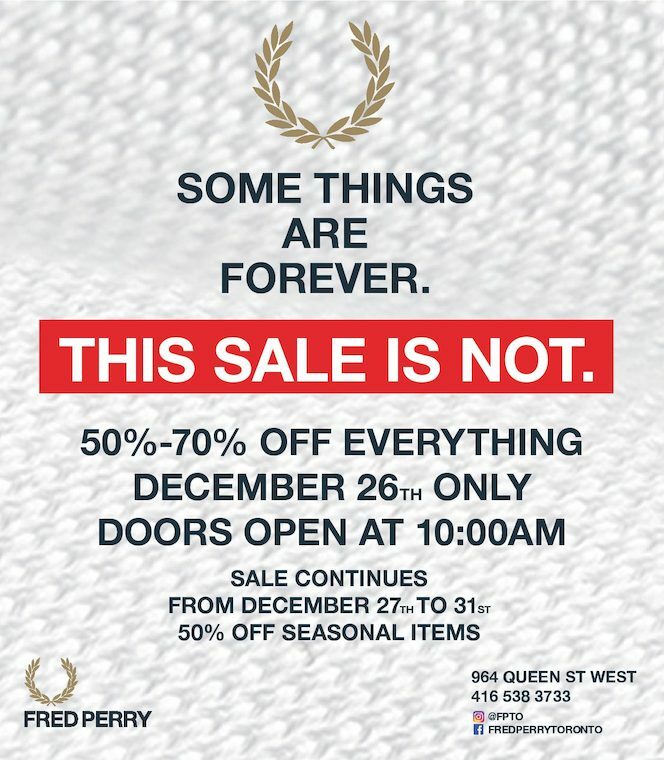 Fred Perry Canada Boxing Day sale is coming soon and it won't be here forever! Get 50% to 70% off EVERYTHING in-store on Boxing Day December 26th, 2016 only. From December 27th to 31st the sale changes and you get 50% off seasonal items. The Fred Perry Boxing Day sale is sizzling hot. I love it when stores have a clear sale on everything that isn't an "up to" sale. Fred Perry have one location in Canada at 945 Queen Street West, Toronto, Ontario. Their phone number is 416-538-3733.